E-commerce SEO is NO different than doing regular SEO other than having more specific factors that you need to focus on. To get clues on how much to optimize each module I have discussed below – you will need to inspect the top e-commerce sites in your niche and also your category in Amazon. It is essential to look at sites that are already ranking in your niche – because the moving values that the AI assigns to each of the ranking variables is not the same across different niches. For example, while 800 words of description might be the ideal number for products in one niche, the same value could be over 2000 in another niche. As we move into 2018 its becoming more and more apparent that Google’s AI is taking over larger aspects of the search algorithm. In fact, it has been confirmed that even Google engineers don’t know why certain pages rank higher than others. While doing your SEO you need to make sure that your SEO patterns exceed those of the sites that are ranking on the top as much as possible. The golden rule is to do more than the sites ranking at the top. 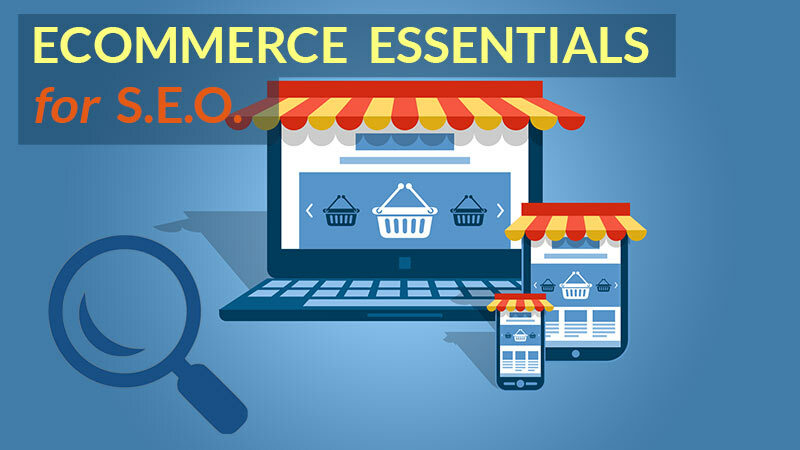 In this post I will cover everything you need to know while doing SEO for an e-commerce site. I have broken down the post into several categories, each requiring separate focus, energy and perhaps investment. make sure that each product category and product page optimized and has solid on-page factors. These are ALL the broad factors that you need to look at for ecommerce sites. The Perfect Ecommerce Product Page! Having a solid Keyword research method in place is one of the most essential foundation elements while doing SEO – and it is no different for e-commerce sites. Once you have a list of all the products you would like to sell in your shop, you will need to start your keyword research. However, it is quite possible that after you begin your keyword research – you may uncover some new profitable products in your niche and for your market – that you did not see before! Solid Keyword research will help you identify the best keywords to use while creating and inserting your products on your website. You will also learn the varying competitive levels for each product. The data that you see will allow you to focus on the right products in batches based on your time and resources vs the risk and reward. For example, if you’re on a tight budget you could focus your SEO efforts on low hanging fruits initially (products with little competition and acceptable number of sales potential). Good keyword research will also enable you to find untapped products, keywords, sub-niches or cross-niches. You could begin uncovering other products and niches that appeal to the same markets and that would do well in your store. Of course you will have to look at the procurement and delivery cycles associated with each of these separately. This is exactly what it says! Simply head over to Amazon.com and type in the product you want to research on. Amazon will start suggesting other search words (in the drop down suggest area of the search box) – that would be more specific for the product or similar products. This is golden – because now you will be able to target long tail keywords that are more specific, easier to rank and probably with lesser competition! More so, this happens because most SEOs are focusing on using and optimizing only main product keywords. Do the exact opposite and you will set yourself up for a win! There are several nifty tools in the market (both free and paid) that I use to get mass keyword suggestions free and quickly. Use these tools to punch in your seed keyword (or competitor URLs in some case) and watch as the tools scrapes and display the other top related keywords that are similar. Then simply export and download as data for further analysis and research. When you build out your online store you first need to structure its categories based on the niche(s) you are addressing. This is the single most important element when it comes to structuring your site architecture or building properly silo’d sites for optimum link juice flow. Get this wrong and it will be 5 times harder to rank your site with your other SEO efforts. I always advise my clients to look at their top ranking competitors to get ideas on how to structure their product categories and URLs. This is the single most powerful to leverage the effort of other successful and proven businesses. They’re ranking on top for a specific reason! I always recommend you use top ranking sites in your niche as the final benchmark for your categorization, site and URL structure. Alternately, you can browse Amazon’s category structure and even look at their “Full Store Directory” option in the drop down menu to see get valuable insights. After-all, they would’ve spent millions of dollars perfecting this – and you can get it for free! Try and traverse down to your specific niche, categories and sub-categories to understand better how they have grouped their products and what keywords they use as Category names. You will also get an idea on how popular a specific sub-category is by looking at the number of products in it. You may also unearth some highly specific categories that with low competition – that you can use! Wikipedia is easily one of my favorite place when it comes to hunting for keyword suggestions for products or while writing out some of the content on my pages. This is because it clusters together words with strong related word vectors. For ecommerce sites, Wikipedia is priceless because will allow you to see what the other potential related products are under the same category or sub-category and you could pickup some fresh niche suggestion and even keywords for URL structure. If you can afford the monthly fee – SEMrush is one SEO tool that is well worth every penny spent. SEMrush is by far one of my favorite tools to reverse engineer what others are doing or to quickly spy on successful models. It allows you to quickly spy on all the keywords your top competitors are ranking for and which products are giving them good traffic. Simply reverse engineer what they are doing by uncovering all the hidden gems SEMrush lets you and you will be all set for a great SEO campaign. Over the years this has changed and currently Google wont let you see the exact search volume for each niche, category or specific product name keyword that you want to research. However, they will give you a range and more importantly the Adwords bidding “Competition Level“. The latter is key here. When the competition level is high – you know many people are competing and paying high amounts of pay-per-click for that keyword – thereby validating that it is a product with high commercial intent or value in terms of sales. This is where you can quickly double check to see if a product will be popular or not (and like I said – the ones with high competition levels affirm the demand levels). There are several important factors that go into selecting the final keywords to use for your products and category titles, urls and descriptions. This is by far the most important factor of them all. It tells you exactly how much the demand of your product is on the monthly basis (monthly search volume) – by showing you how many searches are performed on an average per month for the specific keyword in question. However, the answer in and off itself is not sufficient. In some niches a figure of “100 average monthly searches” for a product may be too low, while in others it may be very high… while in some niches a result of 50,000 searches for a product may still be too low! You will have to examine where this data fits for you on a case by case basis – including other factors like price, demand, profit, popularity, etc. You may find a great keyword that somehow describes your product and that has high monthly search volumes. However, the keyword you uncover may be more of an informative search query without any buying intent – thereby giving you almost zero sales and conversions. This is because the people entering those keywords and not in the buying cycle but are simply in the information gathering cycle. You need to make sure your choice of keywords for your products and categories match the relevancy of content on your site for visitors who have the intent of buying from your e-commerce store. There are several tools in the market that will use their own internal proprietery algorithm and method for determining how difficult a keyword is to rank on top based on a variety of factors, including competitive levels. Some of these have been mentioned above. You can simply search Google for your product as others would, and look at the results to see which and how many pages are optimized with the keywords in the Title and Descriptions. The fewer the optimized pages in the SERP results – the larger is the opportunity for you! I also use Market Samurai to quickly get an estimate on how many pages in total around the web have been optimized with that keyword. The way your pages are connected, linked up and displayed via site navigational elements is your site’s architecture – and it is important as much for any site as it is for e-commerce. However, it gets harder to plan and accomplish as sites get bigger. Proper site architecture not only improves usability, and user dwell times but also keeps the link juice flowing to the correct sections and pages. Poor site architecture can hurt your site permanently unless you restructure the site and do proper 301 redirects that navigate bots and users to the correct pages as the enter and click around your site. One of the key elements you should do is to build out the categories and product pages in such a way that there is no page on your site that cannot be reached from the root homepage within 3 clicks. Any page or product should be reachable within 3 clicks from your homepage! While planning your site architecture for an ecommerce site its important that your approach is a bit flexible so you can scale your site to contain more products, niches, categories etc at a later stage (if you should choose to extend into more sub-niches or cross-over niches). Adding excessive navigational elements that make it hard for users to browse to your product pages – can hurt your site in terms of usability and how Google sees your site. Its also important that you SILO structure your categories, sub-categories and product pages in a manner that lets the link juice flow to the appropriate pages in the right manner without resulting in any “link juice leakage”. In this example I have only shown one layer of sub-categories when in reality there could be several sub-categories and sub-categories within that. That is there could be several layers of these each having their own section of product. Note how sub-categories (and if you have more sub-categories within them) can all be reached directly with one-click (because they can be accessed via drop-downs on navigations). When you build out your site, you must ensure that any product can be reached within 3 clicks of the homepage. So, you need to build out your product feeds and menus in the similar manner. In this example the product can be reached within 1 or 2 or 3 clicks – as it can be accessed by first jumping to its sub-category feed page OR if the product is featured on the homepage for example – then it is just one-click away. The on-page elements of an ecommerce site have to be as specific as possible and they have to be integrated in such a manner so as to entice the user to do one call-to-action only, which is to – click the “Add to Cart” button or “Buy Now” button. Google is tracking these clicks (add-to-carts) and conversions – and will reward you with better ranking improvements the more it occurs, because when this occurs on your site – you are moving users towards completing their search intent. When your listing shows up in the SERPs you need to attract the right people – that is, people who are in the buying cycle (as mentioned above). To do this you need to use “buying words” in your product titles and descriptions along with your product keywords. The aim is to stand out for the competition, and entice the click so your listing gets a higher CTR (click through Rate) in the SERP results – which in turns pushes your ranking higher as visitors come to your site and click the buy now button (of course you will need to ensure your bounce rates, dwell times and user intent is above the baseline average metrics of all the other results around you). Here is an example SERP result with elements that you could work towards implementing. Below is an example of a E-commerce Product Title that is well written. As you can clearly see the word “buy” is used to invite only those in the buying cycle so that you get targeted visitors who terminate their search intent with a higher probability. Make sure you put the main keyword as much to the beginning of the title as you can. Don’t ever repeat the product name or keyword in the Title or in the description (it should at the most appear only once in each). You may use LSI keywords in the Title and description. The “30% off and Limited Deal” words – are enticing the click and causing urgency. This improves the CTR. The description appears in the SERPs and is also there to entice the click to produce higher CTRs. Some other examples of descriptions you could use are as below and could be mixed into the title if appropriate. The Best Prices Online. FREE Shipping for all Orders. Limited Stock. Get the best prices on XYZ today. Save X% off on XYZ. Great selection of XYZ. Lowest Price Online – Guaranteed. All of our XYZ stock are on sale right now. Make sure you use at the very least 1000+ words across all the key products that you sell. If you have 1000’s of products this may not be possible to do this for all of them – so you can typically choose the top 50 to 100 items. Make sure you follow this, otherwise your site will be classified as having thin content of low value. While writing your product description make sure its unique and not copied for the manufacturers site. You must refrain from using cut and paste descriptions and images for manufacturers site, even though you may have been given the right to do so. It just creates duplicate content which will stop your pages and site from ranking. Sufficient or growing number of customer reviews and ratings, and implementation of Google’s product review schema tags. There is no guarantee that Google will display your rich snippets – but doing this will only increase your chances! Your product name and primary keyword must appear at least 2 to 5 times across the page with LSI keywords appearing as well. 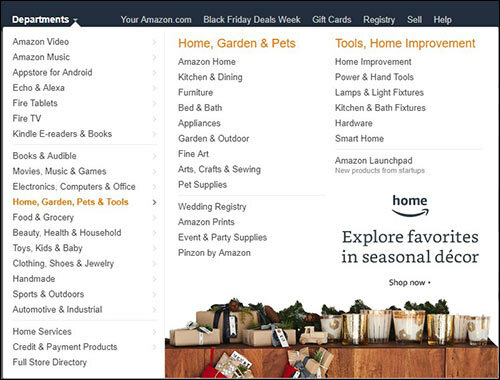 Visit Amazon or top ranking competitors product feed pages and product pages or even other tools such as the Google Keyword Planner inside Adwords, or your favorite keyword tool to get ideas for LSI keywords. See what is being used and how frequently – and then simply do the same by sprinkling your content with these words without breaking the flow of writing! Images in ecommerce sites are very important. Google wants to see that you have taken the trouble to edit, create, shoot and touch up your own images and not just lift them off other sites. Your images must be of high resolution and high quality and MUST be unique. No duplicate images! You can read this post on Image Optimzation for SEO. You have to regularly crawl and prune out bad links and URLs from your site. You can do this by running a tool like Screaming Frog or Xenu Link Sleuth – which are both site crawling and spidering tools. Make sure you do this regularly – once a week or once a month depending on how often you update your site – to check if any new broken links are uncovered or formed. You may want to create a custom 404 page if you like to handle broken links that exist on your site. You can also link to the main homepage prominently in your custom 404 page or even link to the main store categories section. While defining your URLs and slugs for all products and categories – make sure to use short URLs and slugs and avoid lengthy product slugs unless absolutely necessary. Make sure your URL has your primary keyword / product name in it. You need to make sure your internal linking profile (pages within your site that link to other pages) – consists of a higher number of internal links flowing to the most popular pages. This is how proper Site SILO structuring is done. You can link to your most popular pages / products / categories from the highly visible Menu bars / sections. This is how you convey to Google and users clearly what the prime real estate pages and sections of your site are. 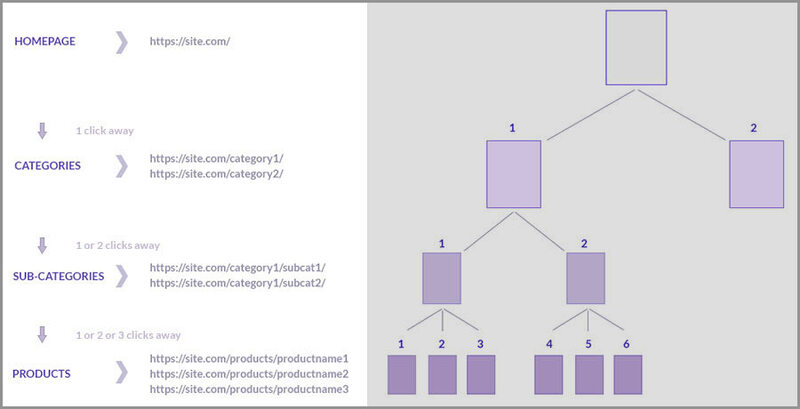 You should also link to specific important products from within their category pages. These links should preferentially be contextual links. You can also link to your key / important products from blog posts that you write. I often create huge single informative contextual pages which are well optimized and contain rich media with reviews, discussions, or information about the product or set of products in a category or within a niche – so that I can then go about doing off-page link building and outreach to influencers in an attempt to build more quality and powerful links to this “gigantic pages”. Because I link to key products contextually within this page it gathers and passes massive amounts of internal link juice onward to the product pages – thereby letting the product pages themselves directly rank easily when people search for specific products with a buying intent. These are what show up when you navigate to specific categories or sub-categories in the sidebar widgets or top mega menu drop-downs. Sometimes, the sub-sections themselves don’t show up in the navigation at higher levels, but are revealed when users browse into certain depth of category levels. This not only is better user experience element but, avoids some clutter and keeps the link juice spread properly. Your internal links that appear within other product descriptions and that point to other products or categories in the site (like what happens inside Wikipedia) are the best possible links you can create internally to pass internal link juice. A good benchmark is to have a minimum of 2 product recommendations / links to other products within these contextual descriptions of products. Use the keywords as anchors while linking. The only danger is that if a product is discontinued you can end up with a broken internal link – which is why you need to run Xenu Link Sleuth or Screaming Frog on a regular basis – more so if you have a big ec-ommerce site. Having a blog section in most ecommerce sites is essential so you can build up authority by giving value to readers through informative posts in your niche and/or about specific products. You must post with a regular schedule and you need to ensure you write content that is rich with meaning and engages users. Just slapping out 300 words of boring commentary is not going to cut it these days and will infact result in loss of “quality score” in the eyes of Google. Make sure that each blog post is engaging and it should be at-least over 800 to 1200 words on an average. Make sure you read this post that addresses all the On-Page SEO Optimization items. Try not to over-optimize your navigation bar with the main keywords of any category repeating over and over again within each subcategory navigation. These elements will make the content more rich and dynamic. Your store will also stand out from the competition if they are lacking these elements. You e-commerce store must have ALL the following pages. These pages are essential and if you do not have these sections, your ecommerce store will lose out on its “Quality Score” in the eyes of Google while it profiles trusted online stores. Your site should have a blog, forum, and / or support area for customers or potential customers. You could create a sub-domain location for this at support.site.com or forum.site.com – but keep in mind that the link juice to these pages or any authority these sub-domains build up wont contribute to your main site. The very first thing I do when I take on a new client is audit their site. One of the most important parts of an audit is to run a crawler like Screaming Frog that crawls the entire site and gives me a detailed and birds eye view on everything that is going on. Each tool has its own way of crawling and presenting the data. Here’s some popular tools that you can use to crawl entire sites and get data formatted in a neat way for detailed inspection. The first two are free and desktop based installs. If you get the things above right, you are going to be building an ecommerce buisiness for the long term. This is the very foundation of getting a solid start in SEO for ecommerce! I hope you enjoyed reading this post and I would love to hear your feedback or questions. My next post will be an extension of this one that talks about how to go about doing off-page SEO for your ecommerce store and skyrocket your rankings! Make sure to opt-in if you want the alert when I publish it, and if you want to get inside secrets that I don’t talk about openly in this blog! Absolutely amazing, such a big help. Thank you very much. Vishy – fantastic write up 🙂 Had a quick question about off-page backlinks. When would you start building those? Also would you advise PBN links to ecommerce stores? Yes, thank you for some awesome resources and tips – I am working particularly hard on tags – and making them key word rich. This came right on time for me, very helpful, thanks!